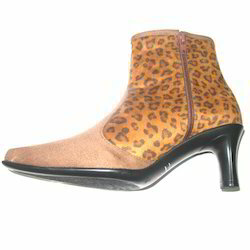 We are offering wide range of Fancy Designer Boot Acknowledged for the comfort and breathable, our vendor’s workforce manufactures these heel shoes by using high-end techniques and factory-tested material as per with quality norms. Moreover, we make the offered ladies stiletto available to clients in varied styles and sizes, in order to meet their requirements. Looking for Fancy Boot ?